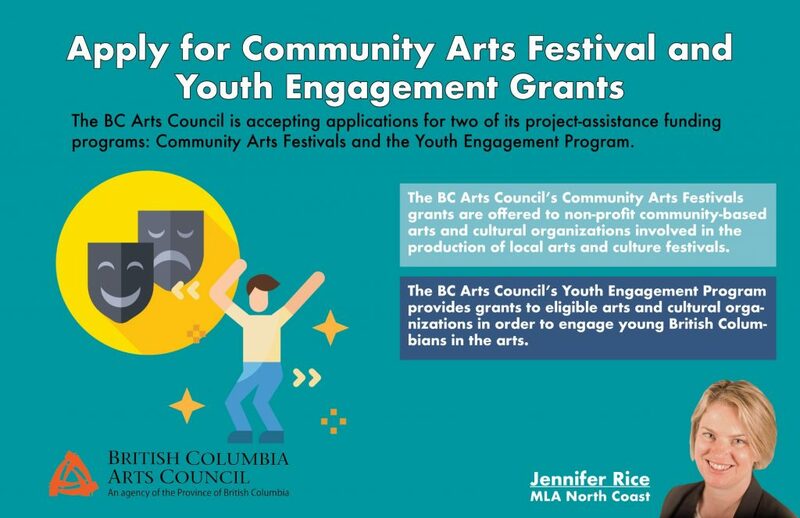 The BC Arts Council is accepting applications for the Community Arts Festival and Youth Engagement grants. The BC Arts Council’s Community Arts Festivals grants are offered to non-profit community-based arts and cultural organizations involved in the production of local arts and culture festivals. Eligible festivals must be more than one day in duration. Grants of up to $6,000 are available to offset the costs paid to professional artists and technicians from throughout B.C. and Canada. Submissions for Community Arts Festivals grants must be post-marked no later than Jan. 30, 2019.